Thales Alenia Space signed two contracts with Korea to develop a constellation of high-resolution observation radar satellites for the Agency for Defense Development (ADD), known as Korea “425 Project.” One contract is with Korean Aerospace Industries (KAI), and one is with Hanwha Systems Corporation (HSC). 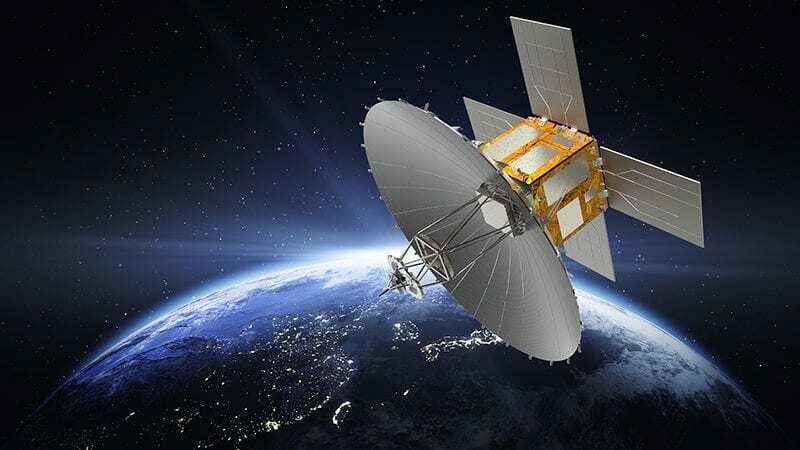 KAI originally won a contract from South Korea’s Agency for Defense Development (ADD) for the development of a surveillance satellites network, according to a Dec. 5 stock exchange filing. Additionally, KAI leads a consortium including South Korea’s Hanwha System and Thales Alenia Space. All three companies have been involved in developing satellites and related technologies for a number of years. For the four satellites, Thales Alenia Space will provide the SAR payloads and the platform elements derived from the HE-R1000 product (a high efficiency radar), part of the Thales Alenia Space Observation product family that includes both radar and optical satellites. The constellation will be used by the Korean authorities for surveillance, intelligence, and control of specific areas of interest. The post Thales Alenia Space to Work on Korean Surveillance Satellite Project appeared first on Via Satellite.